Pennants are great for showing team spirit, trading, and giveaways. They are fully customizable allowing you to match your colors and place your log. TALLMAN.PROMO can help design your pennant for you or use your design. 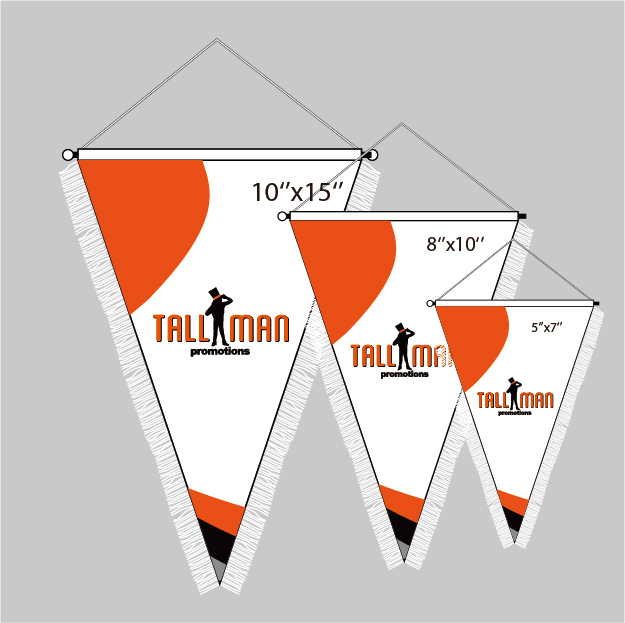 TALLMAN.PROMO offers you three styles of pennant, each in three sizes. The triangle pennant is the classic pennant style with a rope hanging from the top. The crest and shield-style pennant shares the same shape and size variations but differ slightly with the siding. If you are looking for a custom pennant for any occasion, TALLMAN.PROMO can offer you exactly what you need. This product has a $20 setup fee per artwork. 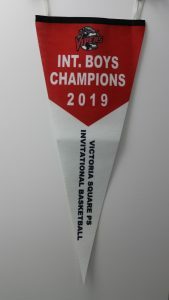 Pennants are single layered, using sublimation printing. All pennants are printed on a Satin material.